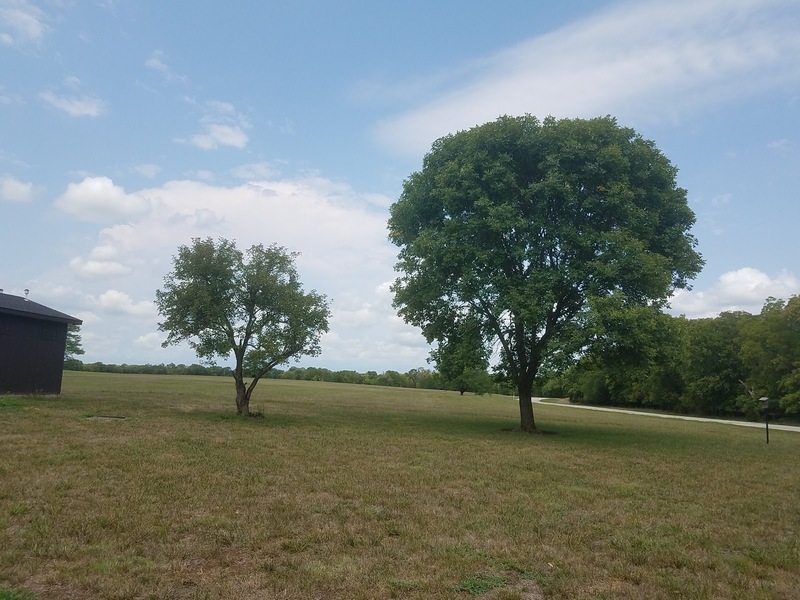 N4KGL - RaDAR: Parks On The Air Activation for Clinton State Park, Kansas. 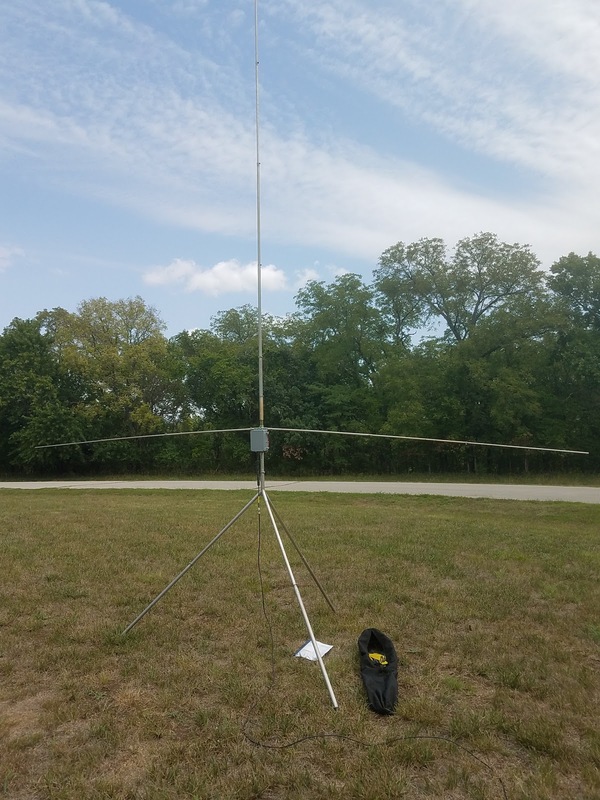 Parks On The Air Activation for Clinton State Park, Kansas. 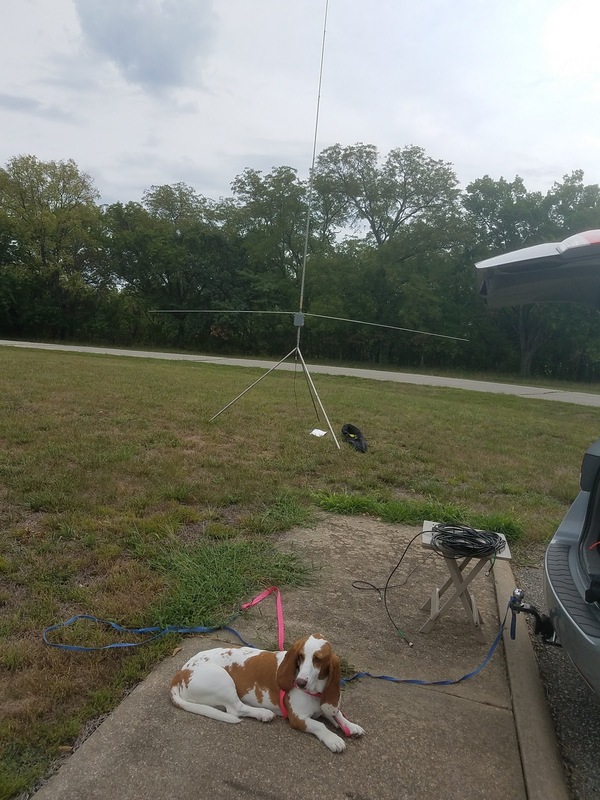 I had the opportunity to do a Parks On The Air (POTA) activation at Clinton State Park, K-2332, while on vacation visiting relatives in Lawrence, Kansas. It has been a while since I did POTA. POTA is now administered on the ParksOnTheAir.com website. Jason W3AAX and his team have done an outstanding job of providing the notifications, spots and logging for the program. 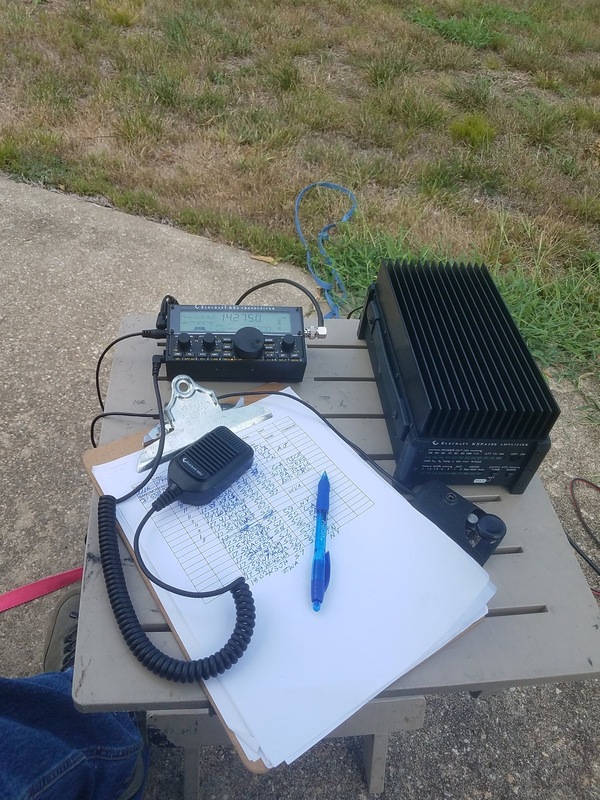 My rig for this activation was the Elecraft KX2. I added the Elecraft KXPA100 amplifier for the first time in the field to give me up to 100 watts. The antenna was the N6BT Bravo 7K vertical. I feel the vertical was a better choice than a low dipole for 20-meters. The vertical did perform well in all directions. My contact rate was about 20 per hour. I was pleased that so many stations support POTA even for a weekday activation. I had six Canadian contacts. 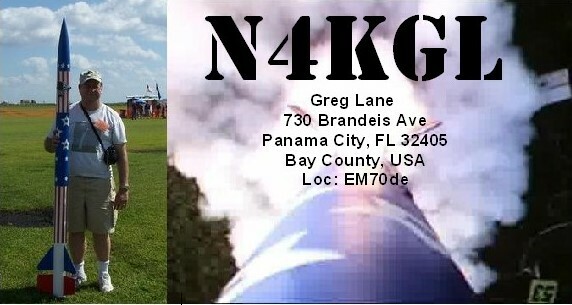 I worked N4EX/P at K-0027 for a park to park contact. I got support from friends including Jim K4LIX and Dennis WA6QKN. I got a surprise call from AK4JA in Georgia. I am pretty sure he was running a homebrew tube QRP rig. The venue at Clinton was on a large field with a few trees. That is a good formula for a vertical. The weather was warm with some clouds holding the temps down. Suzy was my partner. I had only a few visitors. 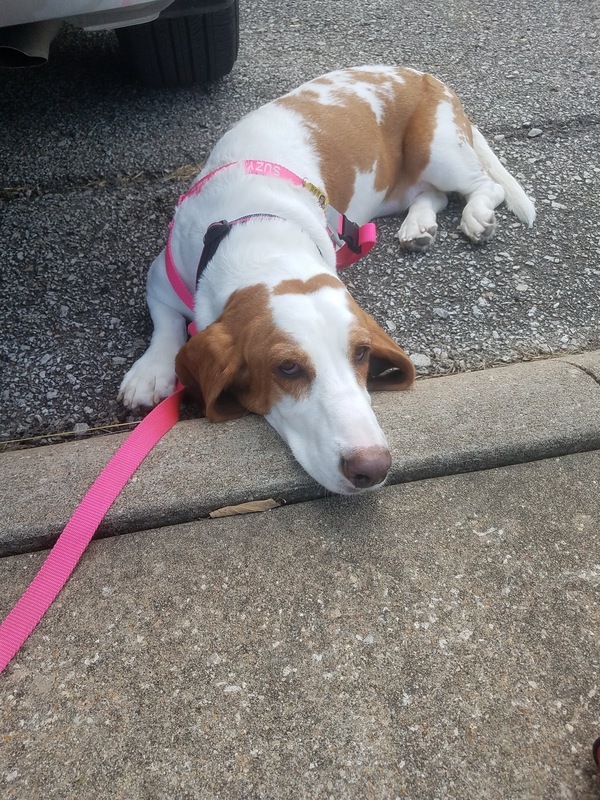 After about two and a half hours Suzy was actually ready to get back in the van. 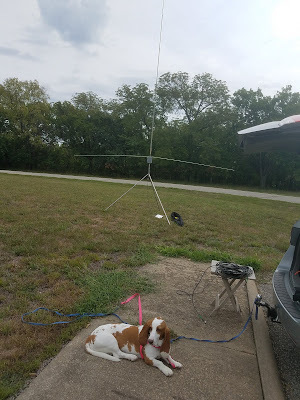 I finished up with an AO-85 satellite pass. No joy, my HT did not break through the pileup for Robert KE4AL doing a grid-line. Suzy chilling in the shade of the van. I hope to pick up my activations as we move toward the fall. POTA is lots of fun. Try it!